Last year, the Huskies upset Kansas. This year, can No. 25 UW upset No. 11 Auburn? It’s just the second time in Auburn history that a ranked Tigers team will play at home against a ranked nonconference team. UW is the first ranked nonconference team to visit Auburn Arena since 2006. 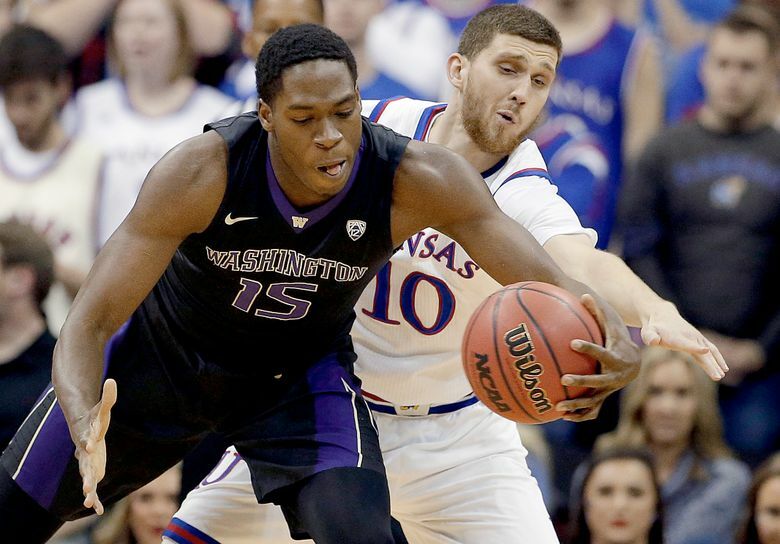 Remember Washington’s upset over No.2 Kansas last year? It was the biggest regular-season road win in Husky history. And it was also the night when a discounted UW team and its new coach, Mike Hopkins, pulled off a shocker that essentially told the college basketball world that they were no longer pushovers. 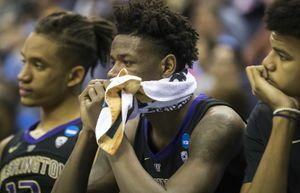 Everything changed for Washington after it toppled the Jayhawks 74-65 at the Sprint Center in Kansas City, Mo., last December. For starters, the external expectations and UW fans’ excitement increased exponentially for a team that last appeared in the NCAA tournament in 2011. And internally, Hopkins often refers to that game as evidence of what the Huskies can achieve when they play together and execute offensively while properly employing their suffocating 2-3 zone defense. This year’s Kansas is potentially Auburn. No. 25 Washington travels deep into SEC territory for Friday’s 6:30 p.m. game against the No. 11 Tigers for an enticing early season matchup between ranked teams. The Huskies are a considerable underdog and they’re given only a 22 percent chance to win by Kenpom.com. 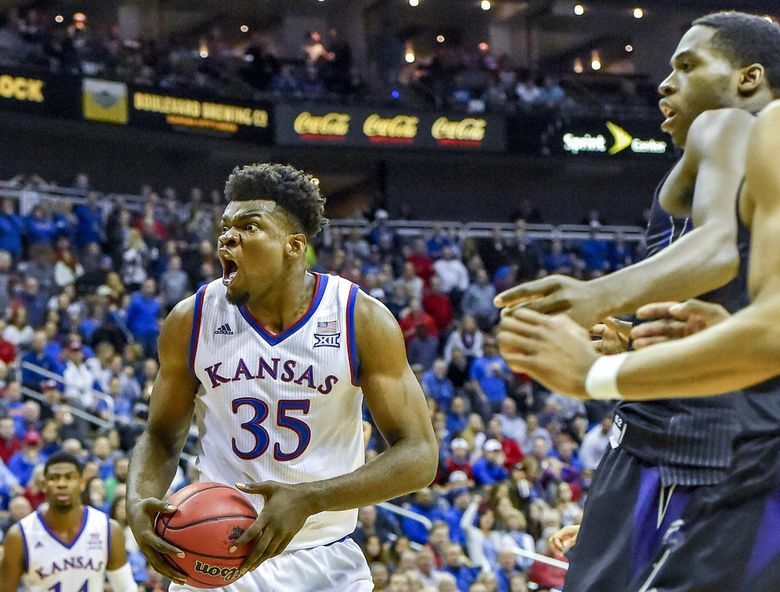 Last year, the basketball metrics website gave UW a 1.3 percent chance to beat Kansas. Despite the odds, the Huskies, who captured a 91-73 exhibition win at Nevada three weeks ago, are relishing a chance to take down another top-ranked opponent on the road. “These guys wanted to play a tough schedule,” Hopkins said. “The coaches, we wanted to play a tough schedule. We wanted to challenge ourselves and see where we’re at. Auburn is a great opportunity. Fifth-year Auburn coach Bruce Pearl said Friday’s outcome could have NCAA tournament implications in March. Auburn, which was 26-8 and captured a No. 4 seed in the NCAA tournament, had a breakout year last season. To a lesser extent, Washington also surpassed expectations while finishing 21-13 and advancing to the NIT. The Tigers began the 2018-19 season ranked for the first time since 1999 while UW last started the year in the national polls in 2011. This summer, Hopkins approached Pearl and the two agreed on a two-year deal that includes next year’s game in Seattle. “A lot of coaches schedule based on what type of team they think they’re going to have or not have,” Pearl said. “I’ve always scheduled as difficult as I possibly can. … You have to build a resume to be able to put yourself in position to get in the tournament. 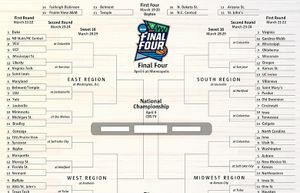 The way to advance in the tournament is to get good seeding. And the way to get good seeding is to win and play a tough schedule. Both teams captured blowout wins in their openers Tuesday – Washington knocked off Western Kentucky 73-55 while Auburn clobbered South Alabama 101-58. The Tigers were never threatened in a game in which they connected on 18 of 38 three-point attempts. However, Friday’s showdown is a drastic step up in competition for both squads. “This team couldn’t be any more unique than any team we’re going to play against,” Pearl said. “They’ll play 40 minutes of a Syracuse 2-3 zone.